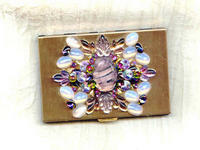 The center stone is an oval Czech glass piece with lavender swirls against a silver mirrored background. 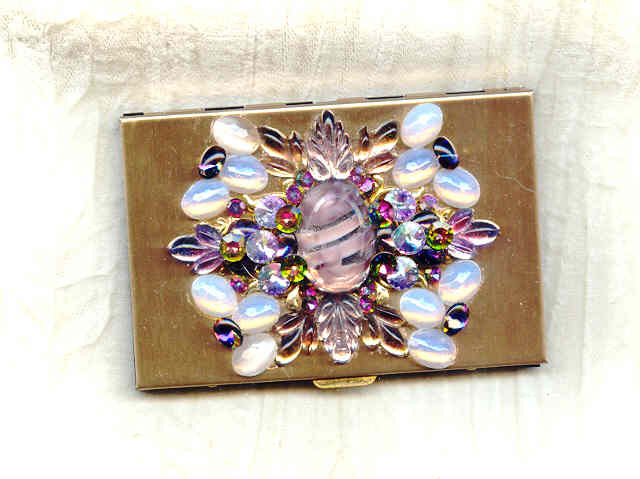 It's surrounded with an array of Swarovski crystals and Czech glass stones in a variety of rare and wonderful colors. 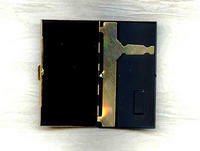 The second image shows the inside of the card case: there's a shiny brass spring-loaded arm to hold your cards firmly in place, and the inside of the lid is lined with black flocking. 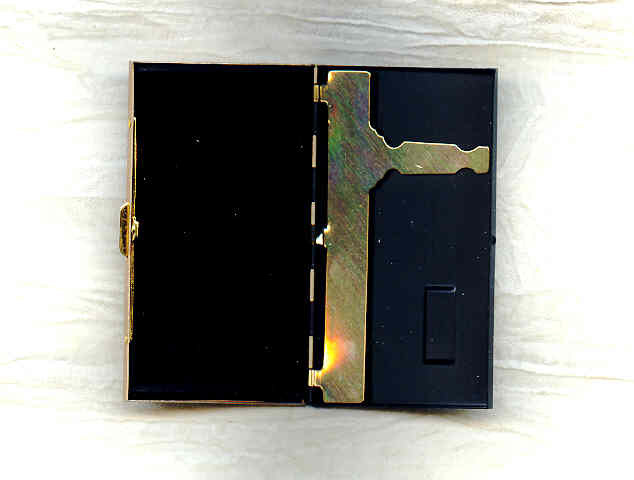 You'd expect to pay much more for a card case like this, handcrafted as it is; but we're dedicated to bringing you the best for less, here at SPARKLE PLENTY.